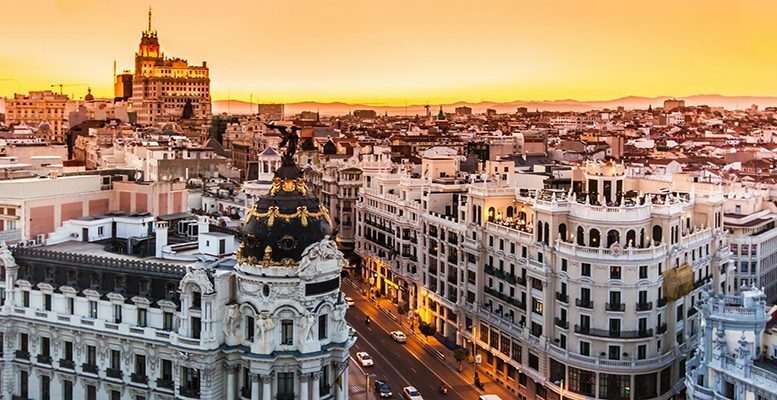 Is there a bubble in Spain’s rental market? José Manuel Muñoz Puigcerver via The Conversation | On 1 March, only four days before parliament was dissolved to hold general elections in April, the government of Pedro Sánchez approved a new Royal Decree on Housing which sought to impact especially on the rental market. Unlike the previous decree, which came into force on 14 December and which was annulled 39 days later when parliament refused to confirm it, the government now counts on the support of Podemos to prolong its validity. • The automatic renewal of the life of a rental contract up to five years, instead of the current three years (if dealing with a physical person, and up to seven years if the owner is a legal person). • A maximum deposit of two months. • The assumption of building costs and costs related to the contract by the landlord. • The obligation to respect the contract for third parties who might acquire the house during the life of the contract. • And a greater control over tourist flats by eliminating the requirement for unanimity among neighbours to veto the conversion (only 60% of votes against will be needed). However, and despite the scale of the measures mentioned, perhaps the most significant part for its political importance has been the elaboration, by the government, of a state price index which will serve as a reference in the application of fiscal policy in relation to the housing market. Podemos voted against the previous decree precisely because the current government had refused to elaborate an index that would establish maximum limits on rents received. On this occasion, even without a commitment from the government to intervene in the market through price controls (with the exception of the upper limit for existing contracts on the increase for inflation), there has been no apple of discord to prevent agreement. As with all Royal Decrees, this has been approved faced by the consideration of a situation of emergency, the extreme gravity of which authorises the government to dispense with the whole parliamentary process (although it will need to be confirmed later). In this case, even with the rejection of direct government interference because of the technical and even legal complications its implementation would have brought, it should be pointed out that the success of an adequate economic policy lies in the good design of the economic incentives. Therefore, if the government considers it urgent to take decisions in a sector so sensitive as the rental sector, given that specific factors (like the high price of rents) act as insurmountable barriers of entry to the poorest social groups, an adequate stimuli plan is always more effective that direct action. Despite the growth the sector is experiencing, there is no agreement among experts as to whether there is a real bubble. It is certain that, from the strictly technical point of view, a bubble refers to an uncontrolled increase in prices of a given asset, with which, a priori, there would be no sense in talking about a bubble as understood in academic circles. In addition, if we do accept the colloquial term “bubble”, we would find that this increase in rental prices is unequally distributed and the “bubble”, far from being uniformly distributed, tends to be concentrated in the major urban centres. Independently of the term we use to define this sustained increase in prices in the rental market, what is clear is the existence of certain abuses in the demands of landlords which, in many cases, are causing damage to certain segments of the population (the case of the months of deposit is a clear example). Families have to dedicate an ever greater part of their income to rent and, currently, 42% of households devote more than 40% of their income to paying for housing. For this reason, the government seeks to reduce this percentage to 29% by 2030. In addition, to lower the upward tensions in process, the government has also announced its intention to increase the supply of social housing from the current 2.5% to 8% by the same year. In short, beyond issues of terminology, our housing market presents a series of peculiarities which make it a first order social problem. Therefore, every policy aimed at a reduction of process through supply is something that both this nd future governments will have to face with special dedication. This is not a propitious market for carrying out experiments which could provoke outcomes contrary to those intended, which makes the exclusion of price controls from the Royal Decree welcome: in the end, acting over market forces is much more efficient with the correct incentives.